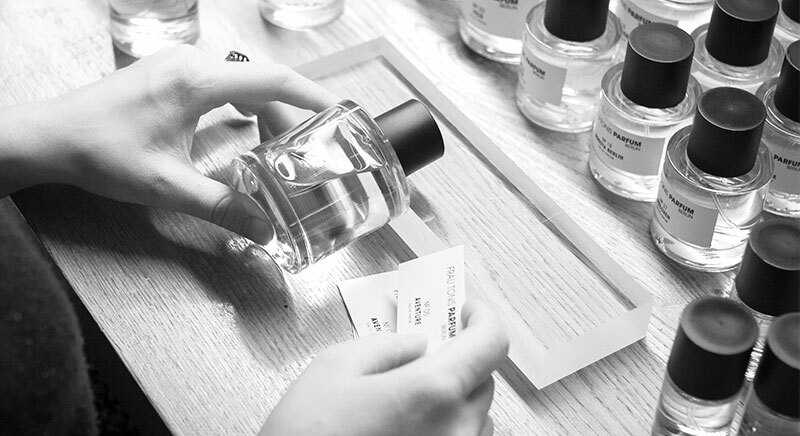 In the atelier of FRAU TONIS PARFUM you can create your own individual scent. All scents by FRAU TONIS PARFUM tell a story. They take you on an intimate journey to faraway worlds and tell you their secrets. Read on to discover the full story. Get beautiful into spring! Order our wonderful fragrances online and get a small pure face oil from Holi (from 85 €)! The vegan oils are made exclusively with natural ingredients. Every flacon loves a phial! 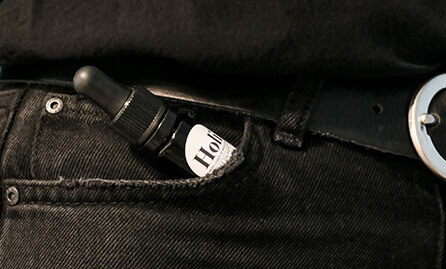 Order your favorite fragrance (50 ml or 100 ml) and grab your cool travel-size phial for 15 € extra. Perfect for on the go. Buy perfume online – in the online perfumery of FRAU TONIS PARFUM! Experience here current trends and scent news. High quality artisanal perfumes, detailed scent descriptions, an accurate scent test as an added service, reliable delivery – there are many reasons why FRAU TONIS PARFUM is a remarkable online perfumery. 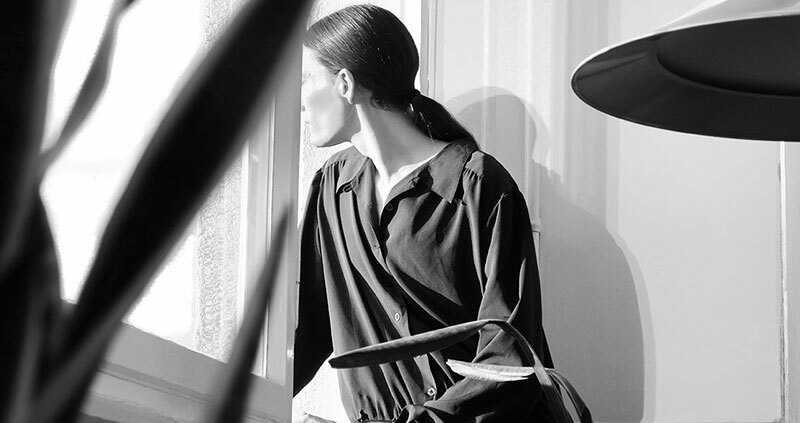 We want to invite you to a relaxed browsing session in our online shop! At FRAU TONIS PARFUM you stay informed about what is in trend and which fragrance must-haves you shouldn´t let pass you by. Here you can experience regular and interesting news and information all about the topic perfume and beauty. Buy perfume and by request have it caringly packed – this is also a part of the service that awaits you in our online shop. Whether a unisex fragrance, women´s perfume or men´s perfume we can ship all orders over 85 EUR value (national) or 165 EUR (international) made in our perfumery FRAU TONIS PARFUM and in our online perfume free of shipping charges. Whether lifestyle fragrance, classic fragrance, sporty scent, extravagant perfume, newcomer perfume, statement scent, summer perfume, winter fragrance or a scent perfect for every season: FRAU TONIS PARFUM the online shop has a large selection of high quality artisanal perfumes. For autumn and winter you can find for example (online) perfumes with warm and sensuous character like FRAU TONIS´ No. 12 Accroche-Coeur with an unmistakable composition of fruity and sensuous oriental notes. Equally well suited for the cold months are scents like No. 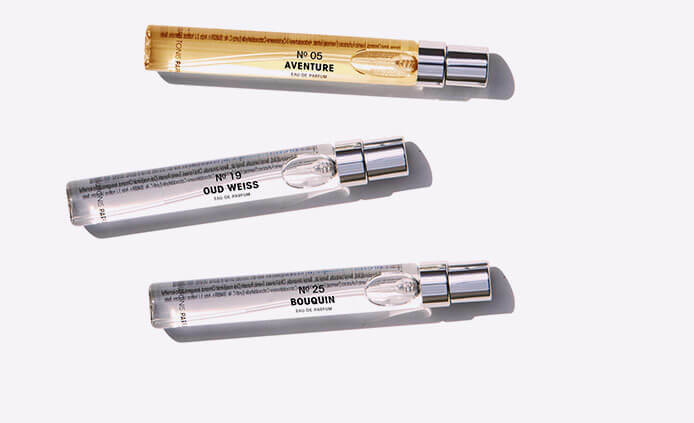 05 Aventure, that instant attract with woodsy and spicy-maritime notes. 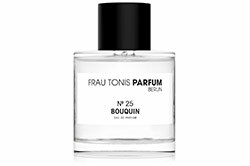 In FRAU TONIS PARFUM – online shop – with the help of extensive filter functions search for fragrances by scent family, scent direction, scent character, various perfume themes and bottle size. 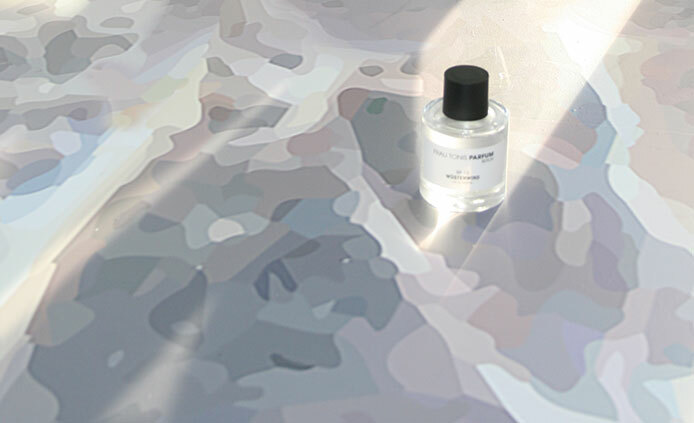 In spring and summer the online perfumery FRAU TONIS PARFUM recommends a fragrance with fresh and fruity notes. The perfumery FRAU TONIS PARFUM has a wide variety of wonderful, euphoric citric fragrances online. 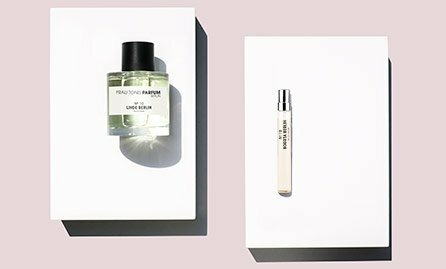 In the FRAU TONIS PARFUM online shop the purchase of your new perfumes as simple as at your favourite local perfume shop thanks to our newly developed filter search and product detail page. 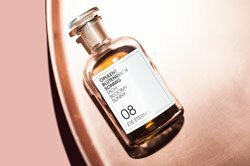 Discover top 10 unisex fragrances, top 10 women’s perfumes, and top 10 men´s perfumes in our online perfumery, get inspired from new trends and choose from our segment „affordable luxury“. Of course there´s more to find in our online perfumery FRAU TONIS PARFUM than just Eau de Colognes for her and him, there are also eau de parfums online. Our online perfumery offers the appropriate perfume for every event and every time of day, as well as exclusive perfume gift ideas. 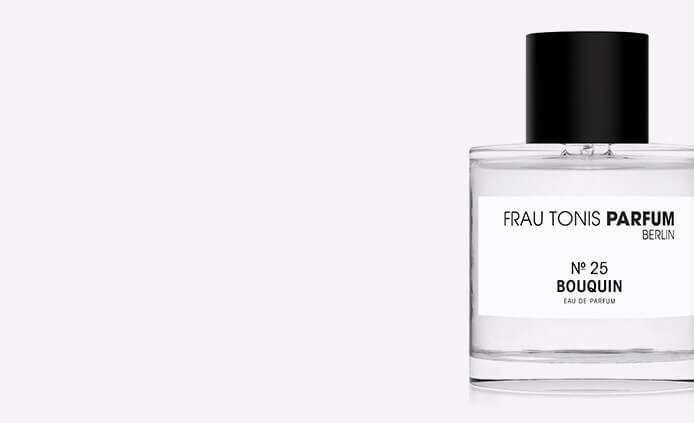 Discover our wide range of perfumes online and let yourself be inspired by the world of FRAU TONIS PARFUM – my new perfumery.